» Harrowing Vs. Tilling: Is There A Difference Between The Two? Agriculture is a more complex domain than may first seem apparent to the layman. While most people seem to look at farming as hours of physical labor with little thought put into it, laying out your crops is a fine art. There is so much to consider when you are laying out your farm, and so many different things you can do to prepare the soil. 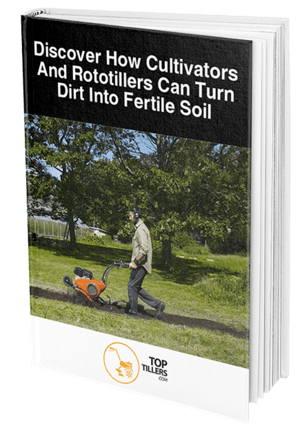 You may be wondering what you can do to improve the quality of your soil before you start planting seeds, and you have a few different approaches, depending on your equipment. You’ll also want to consider the climate and the humidity of your soil when deciding on the right preparation technique. In today’s guide, we’ll be going over the differences between harrowing and tilling, as some seem to think that they’re different practices while others will argue that they are entirely similar. Before we get started, it is integral that we establish the difference between tilling and a tiller. Tilling is any form of mixing, stirring, or digging that is used to improve the quality of the soil before you start planting. Most of the time, tilling consists of mixing up the soil, breaking down clods, and getting weeds out of the ground, though there are so many different types of tilling that it can get a little confusing. There are two primary forms of tilling, which are an important distinction to make, as they will have two very different results: primary tilling, and secondary tilling. Primary tilling is the first pass over the soil, in which the implement goes deeper into the ground than on the second pass. Plowing is a form of primary tilling, and its objective of bringing larger clods to the surface and breaking up sod is identical to that of primary tilling in general. Secondary tilling consists of making a shallower pass over your crop rows, and focusing primarily on the upper layer of the soil. Techniques like this are perfect for preparing the ground for seeding, as you will want to break up smaller clumps of soil and provide an even surface to dig into. A tiller is an agricultural tool that is also referred to as a cultivator, and using a tiller is different from tilling in the first place, as tilling encompasses many other implements, including harrows. So now that you know that, let’s take a look at the relationship between harrowing, tilling, and tillers. First off, we have to establish the fact that harrowing is a form of tilling, which can be confusing when you consider that a tiller and a harrow have different jobs. For this reason, we’ll be comparing harrows to tillers, instead of the act of harrowing to tillage, as harrowing can be both primary and secondary tillage. What’s The Difference Between A Harrow And A Tiller? So now that we’ve established that the difference lies more in the tools than in the discipline, you may be wondering what sets apart a harrow from a tiller. First off, the most significant difference is that a harrow is meant to work on several rows of crops at the same time. A tiller or cultivator, on the other hand, is meant for use in between individual rows of crops, so that you have a precision tool that can help you deal with weeds and tough soil. Of course, there are many kinds of tillers, ranging from manual toothed models to rotary tillers. In this section, we’ll compare various types of harrows and tillers (cultivators), so you’ll be able to find the perfect choice for your needs. We’ll look at the disc harrow, the rotary tiller, and much more. The disc harrow is designed for use in deeper areas of your soil since the harrow disc tends to be heavier than tines or other options. Of course, you have to keep in mind that a disc harrow will also cover a much wider path than the tiller when it is pulled along your fields. Compared to the disc harrow, a tiller works on a much shallower area of the ground, and it doesn't extend anywhere near as wide. As we've already mentioned, a tiller is a tool that is typically used for more precise work than a harrow. A power harrow is much like a tine harrow, except the tines aren’t dragged along the ground, and are instead rotated. When compared to a tiller, the most significant difference is that a power harrow works with the help of the tractor, whereas a basic tiller would be entirely manual. Both of these tools are used for similar applications, however, as they make it easier to prepare the soil for planting seeds. 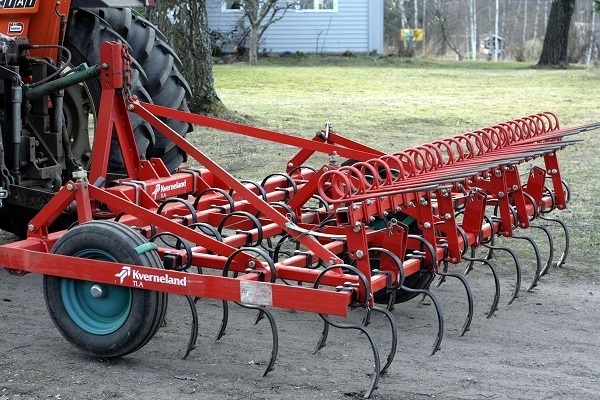 The power harrow is better for those who would like to avoid the sprouting of weeds, however. Since the layers of soil are kept in order, weed seeds will not be brought up to the top. 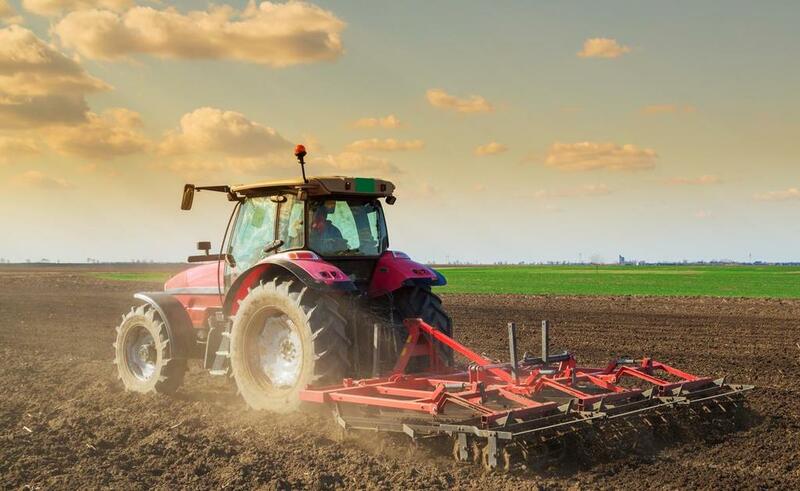 While a disc harrow is used to get to the deeper layers of the soil thanks to its heavier design, a rotary tiller is meant to overturn the upper layers of the soil. Rotary tillers are an excellent option for those who don’t have a lot of time and would like to get their soil ready for planting as soon as possible. A rotary tiller is actually more similar to a power harrow, in that they both use teeth or tines under power to arrange the soil. Keep in mind, however, that a power harrow will often be preferable since they are better at preventing the growth of unwanted weeds. There isn’t much of a difference between harrowing and tilling, as there is between a harrow and a tiller. It is understandable that this may be a little confusing, as tillage and tillers are not necessarily the same thing, with the latter only being used for secondary tilling. Thank you for taking the time to read through our guide.